This is a failure to diagnose stroke case filed on by a man in Prince George's County. This case was filed in Health Claims Arbitration on January 17, 2017, and is the 28th medical malpractice case filed in 2017 in Maryland. What makes a good stroke misdiagnosis lawsuit? Plaintiff, a 48-year-old truck driver, has a past medical history that includes diabetes and hypertension. While working one day, he unloads a truck, enters the truck, and becomes unresponsive. The company calls 911. When EMS arrives, plaintiff has a glascow coma scale of only 8, which is not good. His vital signs are off. He is transported to Laurel Regional Hospital. Within twenty minutes of arriving at the hospital, plaintiff is assessed by a nurse who notes that the plaintiff has pinpoint pupils and is confused. Defendant emergency room physician evaluates him. He nods his head yes or no but does not answer questions. Defendant physician orders a STAT head CT, EKG, and lab tests. However, she fails to call radiology to inform them of the urgency of the CT scan in order to rule out an acute ischemic drug, since plaintiff was still within the time frame to receive tPA. This drug is the standard of care for ischemic strokes presenting to the emergency room within three hours of onset. Any assessment and evaluation of a potential stroke victim must be performed by an emergency room physician. An hour after the Stat CT Scan is ordered, defendant doctor notes that there is a delay in obtaining the head CT. She notes that she explained to radiology that plaintiff was in urgent need of his CT due to his change in mental status, but the CT department allegedly responds with "we will do our best." Two hours after it is ordered, the CT is done. The findings indicate an acute ischemic infarct involving the left caudate, internal capsule, and basal ganglia. Defendant doctor states that plaintiff is outside of the time frame for receiving the best drug (tPA) to improve his chances of recovery from stroke. Plaintiff alleges that this is not true because was still within the 3-hour window. Defendant physician orders an MRI of plaintiff's head after consulting with a neurologist. Plaintiff begins having slurred speech and is admitted to the hospital. The hospitalist notes that plaintiff is aphasic, but alert, and begins Aspirin and Statin. Plaintiff is placed on DVT prophylaxis with Lovenax. The following day, a neurologist finds that plaintiff is aphasic, which is an inability to comprehend and formulate language because of brain damage. 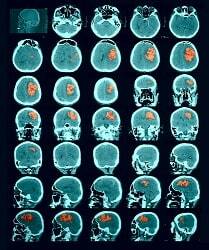 The neurologist notes MRI of plaintiff's brain revealed a thromboembolic occlusion. Plaintiff has lost the ability to move his extremities. Based on the MRI findings of the thromboembolic occlusion, the neurologist allegedly concludes that if the TPA drug had been administered, the plaintiff's neurological deficits would have been significantly improved. Plaintiff is transferred to Johns Hopkins Stroke Unit. He files this claim, alleging that the failure to administer the TPA drug when it was possible left him with devastating neurological deficits and significant medical expenses. The ER doctors should not be waiting for two hours for CT results in a case like this. The strongest failure to give tPA defense is causation. The doctor's attorney will argue that had tPA been given in a particular case, it would not have made a difference in the outcome. Here is the money quote from one doctor: "While the standard of care remains that tPA should be 'considered' and 'offered' to patients with an acute stroke, the data provides little if any support for those plaintiffs attempting to prove causation." So in this doctor's view, if the ER doctor "considers" tPA, that meets the standard of care. Another defense is that the doctor concluded that regardless of the patient's history, the CT showed a hypodensity suggesting the stroke was much earlier. Have you been injured to due to the negligence of doctor or hospital staff? If so, the attorneys at Miller and Zois can help you get the compensation you deserve. We can answer questions you may have about a potential case. Call today at 800-553-8082 or get a free online case review.